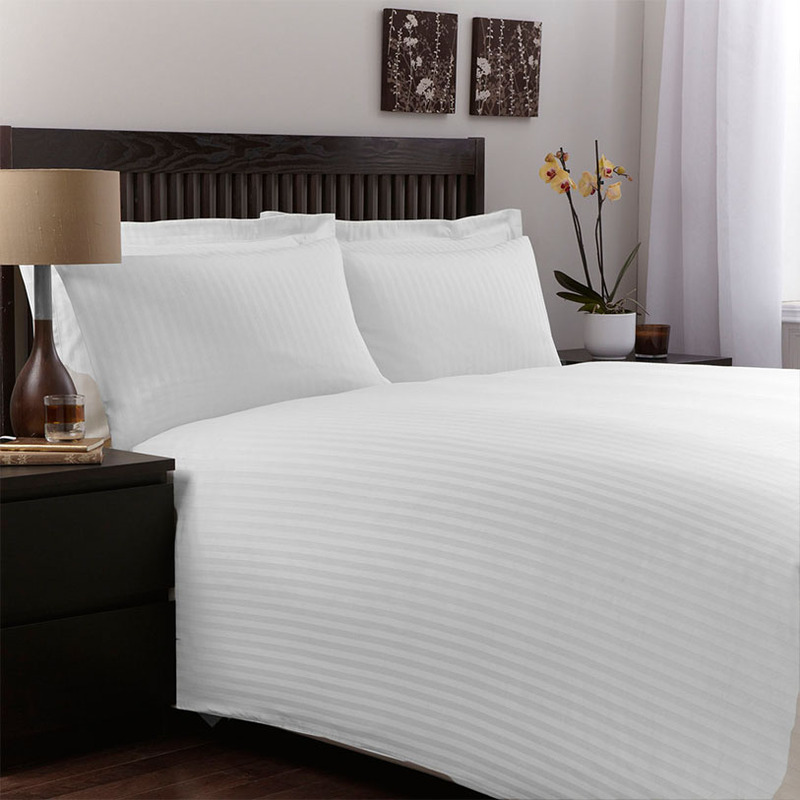 Soft, elegant and silky touch, Scala Satin model Stripes 2.5 + 0.5cm is a high quality fabric in 100% cotton combed yarn, TC 300, gsm 160. Satin Scala can be used successfully in the most sophisticated establishments.It can be combined with Satin Elina Plain to achieve a particular effect. 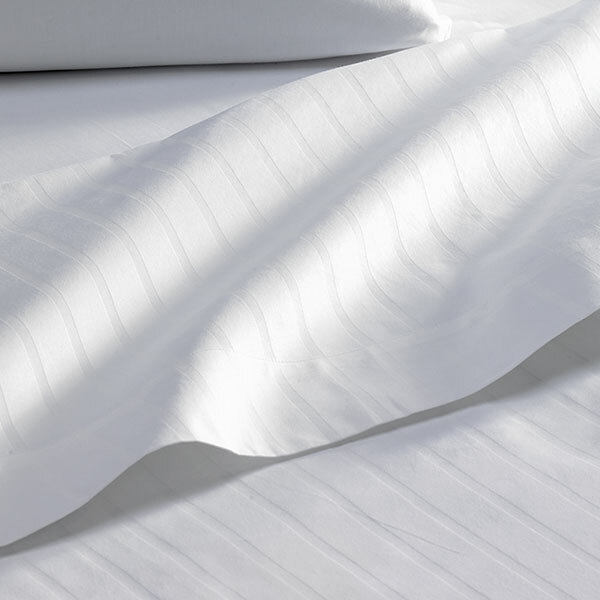 Scala Stripes Satin bed linen can be made to measure even in small quantities. 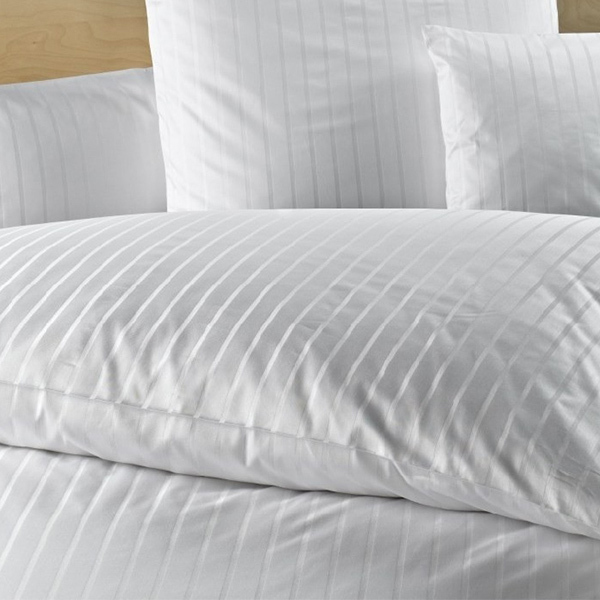 Milano is a Satin stripes fabric 2.5+ 0.5 cm wide stripes, combed yarn Polycotton blend 50% cotton 50% polyester in high TC 300 and fabric weight 160gsm. It is mercerized, sanforized, easy care for ease laundering. Satin Milano can be used successfully in the most sophisticated establishments.It can be combined with Satin Roma Plain to achieve a particular effect. 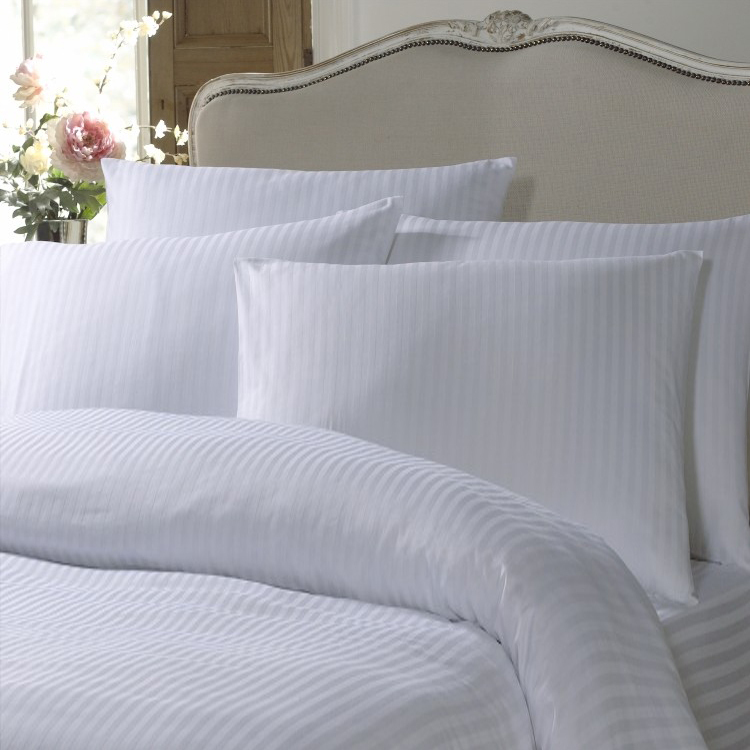 Milano Stripes Satin bed linen can be made to measure even in small quantities. 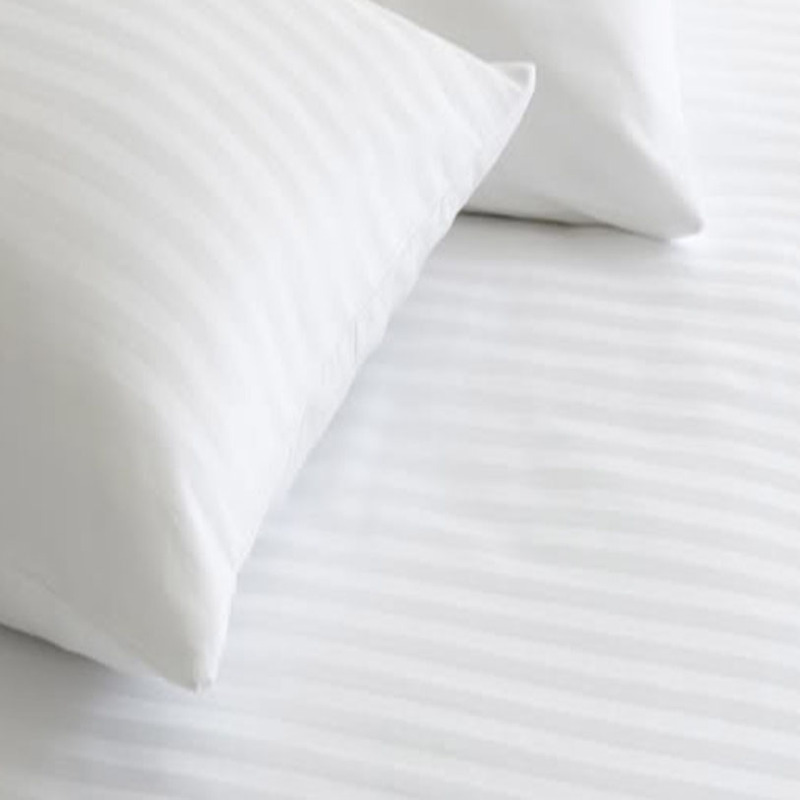 Corsica is a 3cm Stripes Satin Polycotton 50% cotton + 50% polyester with TC 220 and the fabric weight is 160gsm. Due to the special finishing with mercerisation, sanforisation and easy care, Corsica is the perfect choice for industrial laundry and establishments with intensive use. Satin Corsica can be used successfully in the most sophisticated establishments.It can be combined with Satin Roma Plain or Percale Onda to achieve a particular effect. 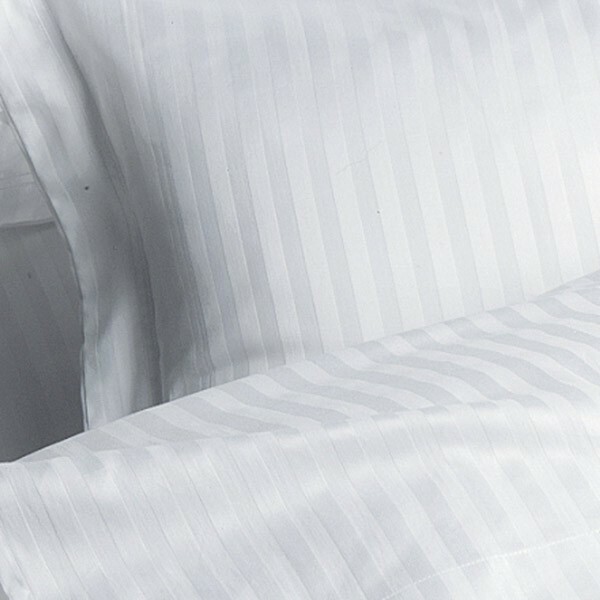 Corsica Stripes Satin bed linen can be made to measure even in small quantities. 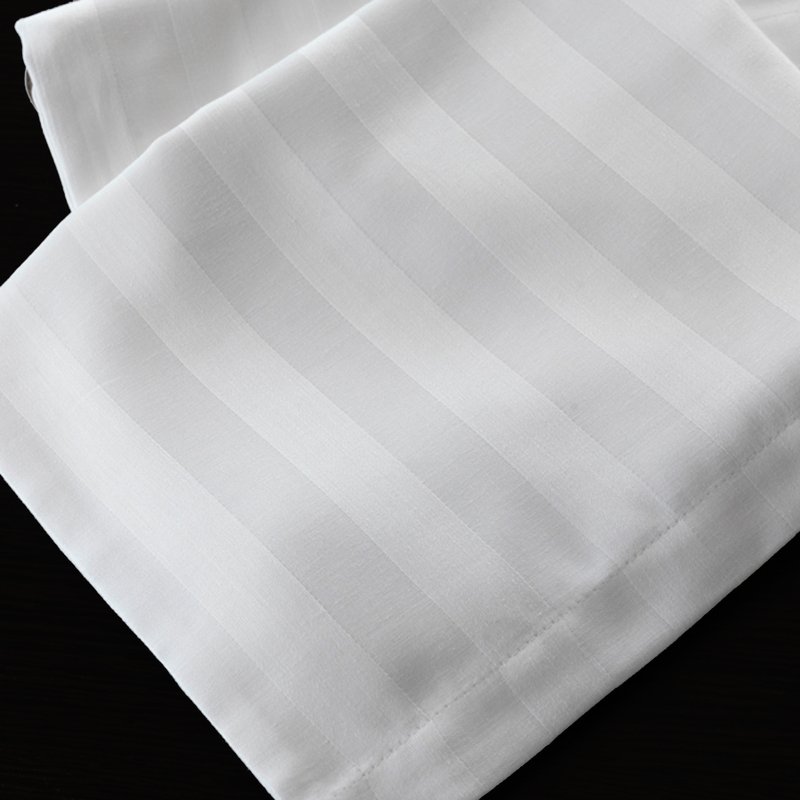 Triana is a 1.3cm Stripes Satin 100% cotton with TC 220 and the fabric weight is 160gsm. Due to the special finishing with mercerisation, sanforisation Satin Triana is the perfect choice for industrial laundry and establishments with intensive use. It has a soft hand feel and silky look. Satin Triana can be used successfully in the most sophisticated establishments.It can be combined with Satin Dhalia Plain to achieve a particular effect. Triana Stripes Satin bed linen can be made to measure even in small quantities. 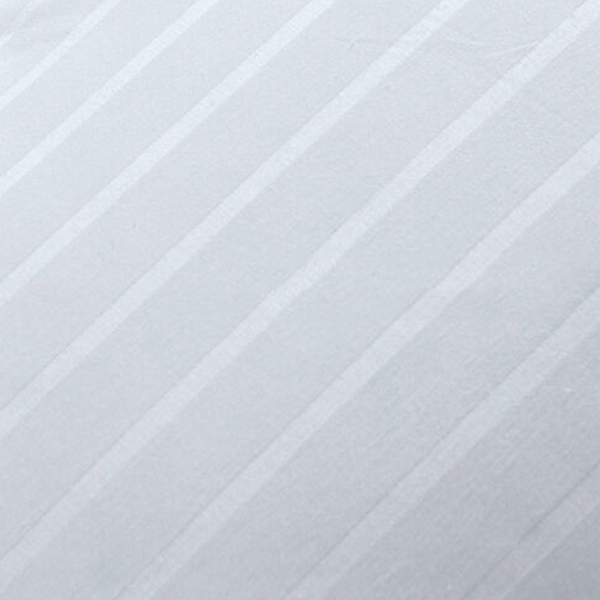 Astra is a 2cm Stripes Satin 100% cotton with TC 220 and the fabric weight is 160gsm. Due to the special finishing with mercerisation, sanforisation Astra is the perfect choice for industrial laundry and establishments with intensive use. It has a soft hand feel and silky look. Satin Astra can be used successfully in the most sophisticated establishments.It can be combined with Satin Dhalia Plain to achieve a particular effect. 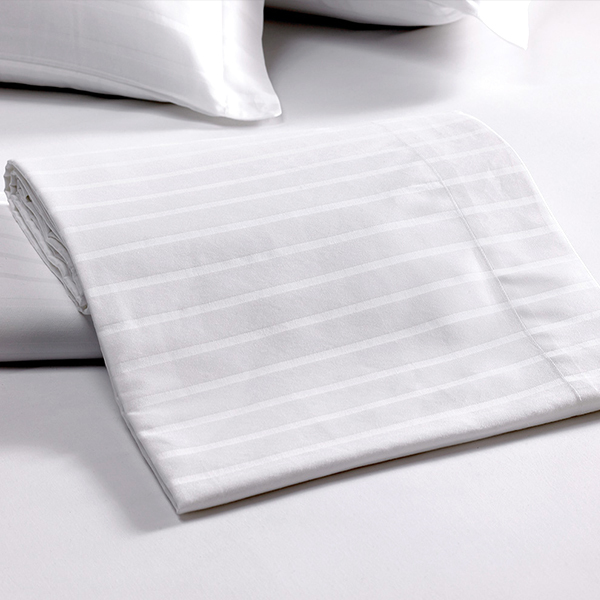 Astra Stripes Satin bed linen can be made to measure even in small quantities. 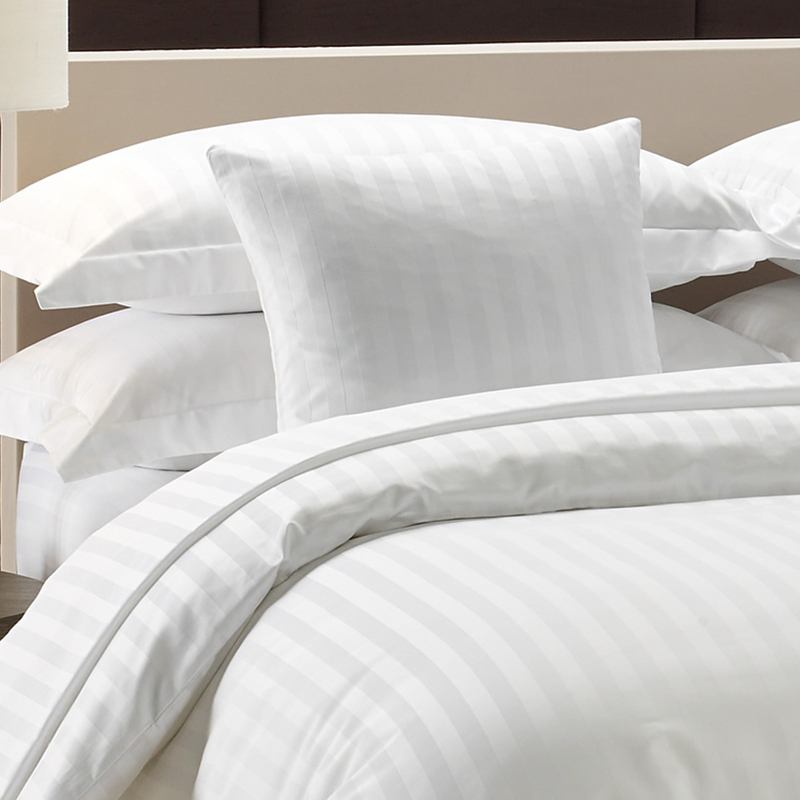 Bari is a 1cm Stripes Satin Polycotton 50% cotton + 50% polyester with TC 220 and the fabric weight is 160gsm. Due to the special finishing with mercerisation, sanforisation and easy care, Satin Bari is the perfect choice for industrial laundry and establishments with intensive use. 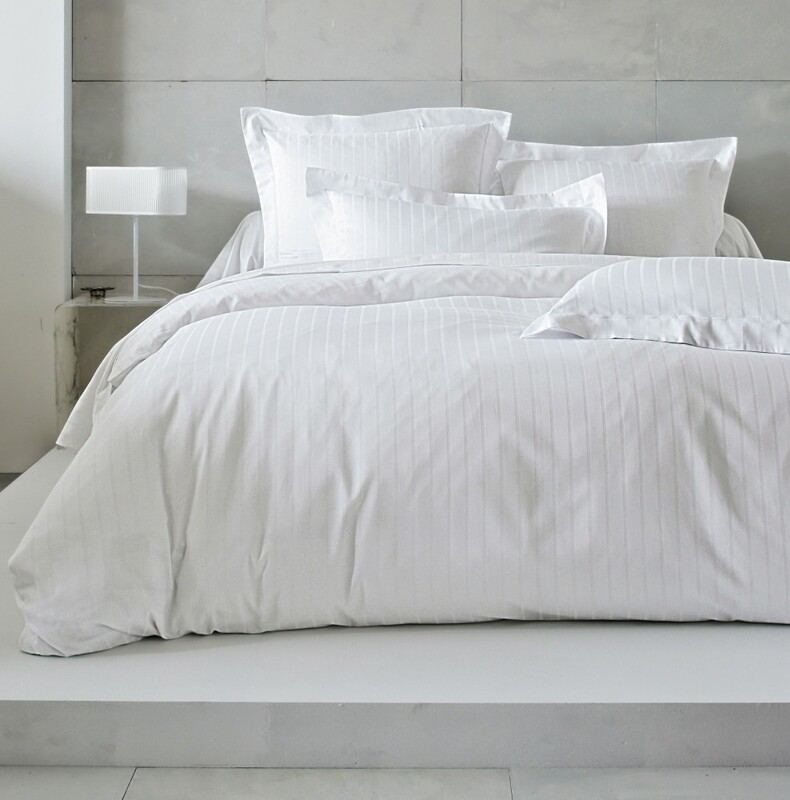 Satin Bari can be used successfully in the most sophisticated establishments.It can be combined with Satin Roma Plain or Percale Onda to achieve a particular effect. 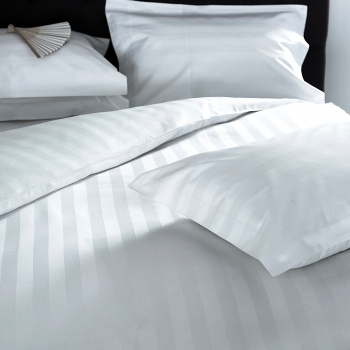 Bari Stripes Satin bed linen can be made to measure even in small quantities.